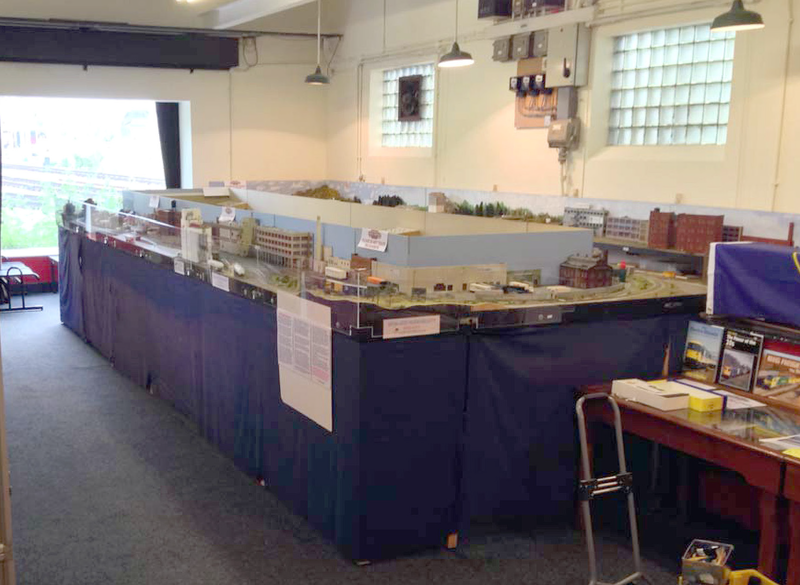 This HO scale DCC layout has been designed and built by members of Calder Northern Group. The layout name is taken from that of the premises of Morning Foods Ltd, (Mornflake©) Crewe who are a local milling company and cereal manufacturer. With the principal industry on our layout being the Grain unloading facility and its associated Cereal plant across the tracks the use of this name seemed appropriate. We approached “Mornflake” to see if we could use their logo to which they granted sole permission plus use of the new logo following recent re-branding. We are grateful for their agreement and help. The track plan is not based on any particular prototype but intended to provide continuous operation, especially if invited to shows and exhibitions. With this in mind we considered what most people want to see at shows and the consensus was to see plenty of train action. It is intended for operation by up to 6 operators, plus a dispatcher(s), to allow both main and short line running and industry switching to take place around the layout simultaneously. Back in the clubroom we eventually intend to use a card system of operation where the main layout is then connected via the short line to the clubs old HO scale switching layout located along one wall of the clubroom. This will provide for added operation and enjoyment. The layout was not designed for any particular era of operation. Therefore, in the planning the choice of buildings was carefully considered and we felt those chosen were reasonably suited for either the steam, transition or modern diesel era. It was also agreed to try and include, where appropriate, the names of local businesses on as many buildings as possible – yet to be done. Note the ‘Hey & Porter’ which is a building named as a tribute to model traders who have supported the group over many years. Lots of thought went into selecting industries to grace the layout and the type of incoming or outgoing commodities that would be associated with each of them. 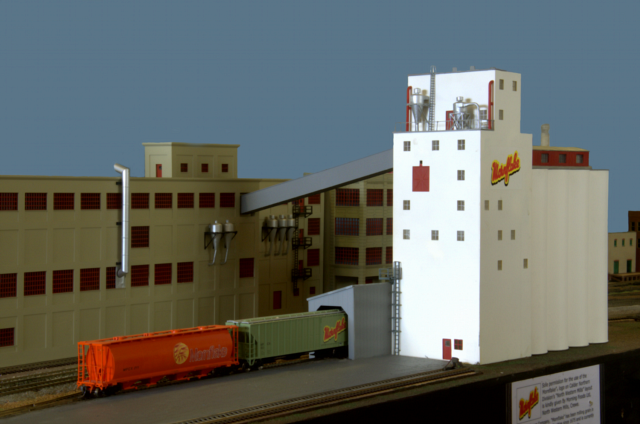 For the “Mornflake” facility incoming grain will arrive by boxcar or hopper car but also sugar, dried fruit, nuts, packaging materials and maybe molasses. Outgoing products would be the finished cereal packs, bagged oats and bagged flour. Similarly the “Chronicle” Newspaper building would receive Newsprint, inks and other consumables like type metal with the outgoing being the daily newspapers for local delivery or periodicals and magazines despatched by rail. Each planned business was considered in this manner. One aspect we wished to include was the short line with street running and this is anthat is now less common in the USA. The short line climbs alongside the yard area, crosses above the yard throat and runs into a small fiddle yard in the centre well area of the layout so new trains can be assembled. Likewise the Barge Slip has added a new dimension to the layout as this and the short line fiddle yard means we now have two distinct points of entry and exit for freight cars giving us plenty of operational flexibility in the future.